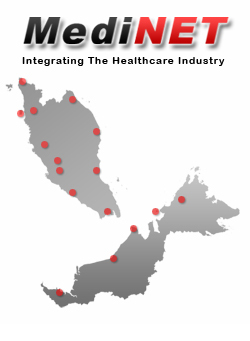 MediNET is an application service provider (ASP) that serves the healthcare community. Our Internet-based, role-specific suite of applications is intended to act as a secondary layer to your existing administrative and information systems. What all this means is that the various components of the healthcare industry (medical service providers, paymasters and suppliers) can exchange business data instantaneously and automate their routine administrative tasks via MediNET. Thus facilitated, businesses are able to reduce their administrative burdens, become more efficient and make better-informed business decisions.